Last year I took part in a reading event in Edmonton called Read and Write with Pride, a queer book reading for local authors (I’m not really a local, I know, but I was close-ish). And this year, I’m pleased to announce, I’m taking part in this event for a second year! Last year, if I remember correctly, I read from Sky Knights, a scene in which the main characters crash land their plane. It was my first reading, so I didn’t really remember to introduce my novel before reading because I was nervous. This time around, hopefully I will remember! I was thinking that this year I would read from All the King’s Men, which isn’t technically released until July 27th. It will be like a sneak peek before the release. I’m really excited about this novel and want to promote it as much as possible. The real challenge is picking what scene to read from. Bio: LAURIE MACFAYDEN has lived in Edmonton since 1984. Her second poetry collection, Kissing Keeps Us Afloat , was released in September 2014 (Frontenac House). Her debut collection, White Shirt , won a Golden Crown Literary Society award and was shortlisted for the Lambda Literary awards. A painter, poet and photographer, MacFayden spent more than 30 years as a sports journalist and continues to work as a copy/web editor at the Edmonton Journal. Her poetry has appeared in The New Quarterly literary journal, FireFall, Queering The Way and DailyHaiku I: A Daily Shot of Zen; and has been performed in Edmonton’s Loud & Queer Cabaret and at Calgary’s Q The Arts cultural festival. 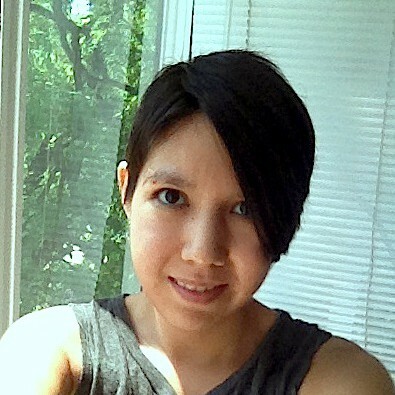 Bio: Marina Reid Hale is an Edmonton spoken word poet and writer. She can’t remember a time when she didn’t want to be a writer (with the notable exception of a week in grade two when she wanted toMagazine, the Rat Creek Press, and the #yegwords Coffee Sleeves project, and she has co-written plays for NextFest, KidsFringe, and OverActing Imaginations. She performs and competes at open mic nights and poetry events all over the city, and was a 2015 Edmonton Poetry Slam semi-finalist. Bio: Heidi Belleau was born and raised in small town New Brunswick, graduated with a degree in history from Simon Fraser University in British Columbia, and now lives outside of Edmonton, Alberta, with her tradesman husband and two kids. A proud bisexual woman, her writing reflects everything she loves: diverse casts of queer characters, a sense of history and place, equal parts witty and filthy dialogue, the occasional mythological twist, and most of all, love—in all its weird and wonderful forms. She is the author of the REAR ENTRANCE VIDEO series, and the co-author of THE BURNT TOAST B&B. Her latest novel DEAD RINGER, co-authored with Sam Schooler, is out now from Riptide Publishing. Her work has been reviewed in PUBLISHER’S WEEKLY, LIBRARY JOURNAL, and BOOKLIST. That’s our line-up of queer writers who will be reading some of their work for the event! I’m really looking forward to the event. And of course, the event will be taking place at Audrey’s Books, an independent bookstore in Edmonton. So if any of you are in Edmonton on June 9th at 7 pm, you should definitely come and see the reading! We all have them, sadly: half-finished ideas that weren’t really thought through or that we got bored of before we could end them. Some of them we got stuck on and never got back into writing on again. Some of them, we had a really good idea, but we jumped into it without much planning or research, and they fell to the wayside. Authors have tons of unfinished projects. I have lots of them. Steampunk sky pirates, cross-dressing soccer players, and sorcerers-turned-cats (accidentally) are all there waiting for me to pick them up again and finish them. I even have a couple from when I was in my late teens (I am now in my late twenties) that are salvageable (so described by one of my very good friends) that were pretty long before they petered out. What do we do with them? Sometimes, the motivation and creative juices have just stopped, and others, the daunting task of outlining and research is too much for us right at this moment. Sometimes, it was so long ago that we wrote them, that we’ve forgotten where we wanted to take our protagonists. Possibly, we’ve also lost the voice of the characters that we were writing, a true tragedy. They’re stored there in our computer files, in our notebooks, sometimes just in our brains, waiting for us to get back the motivation to finish. One day, I would like to come back to them. I have mentioned that I have three projects on the go right now, just because I’m a ridiculous person who can’t stop it with the plot bunnies hopping everywhere. But maybe after I’m finished those three, then I’ll be able to come back to some of them. I loved those ideas, as I’m sure we all did at some point. I don’t want to just abandon them to time, to let them gather dust and eventually disappear. Maybe it will help me regain motivation if I describe them. The steampunk sky pirate story takes place in a world of floating islands in the sky, and our hero is a young man who foolishly intercepts a message meant for the high command of the royal navy. He then has to escape with the help of – you guessed it – pirates. The cross-dressing soccer player story is about a guy from England who wants to find work while he’s in university in America, but the only job is a female server position. So he cross-dresses in order to get a job and ends up on the female soccer team as well. His name is Ashley, which is how he managed to fool everyone. Anyway, those were my projects. Feel free to share some of your projects that have fallen by the wayside!